Our family hosted 12-year-old triathlete Winter Vinecki and her brother Yukon for a week prior to Ironman Wisconsin. 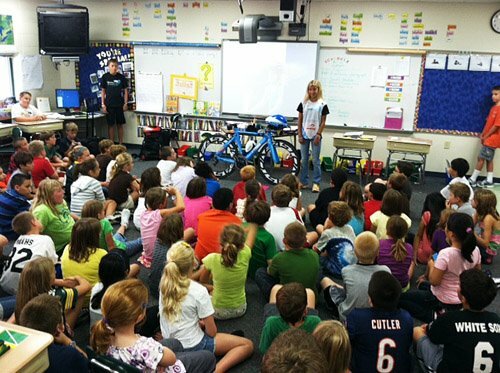 As the National Champion and IronKids Ambassador Winter travels to many of the IronKids events across the U.S. She speaks with kids about triathlon, being active, eating well and living a positive life. Winter also raises awareness about prostate cancer, the disease that took her father's life. She talks about her efforts to stomp out prostate cancer through her non-profit organization Team Winter, its athletes and sponsors. Winter also encourages kids to race for a cause, something that is dear to their hearts. Our family loved hosting Winter & Yukon. With three kids of our own it was a full, but fun house! - biking, running, kayaking, flying kites, assembling/breaking down the bike, popping bubble wrap, playing hockey, cooking meals and snacks, keeping up with homework and their online schooling, using Oxyclean, practicing handstands, rolling down the hill, balancing on anything, scootering, playing the labyrinth, playing with the robot, bench-pressing watermelons, Oreo taste tests and more. - Winter spoke with students in Jefferson and McFarland, to parents and kids at SBR Coaching in Verona and to participants of the Madison IronKids event via her Team Winter Expo booth. September is prostate cancer awareness month. One in six men will be diagnosed with prostate cancer. It is the most common non-skin cancer in America. Winter and Yukon spent most of September on the road raising awaresness for prostate cancer and competing in events. I am a few posts behind, but I have more Team Winter updates to share here. Please stop by Team Winter as well! Here's a short piece from our local newspaper. 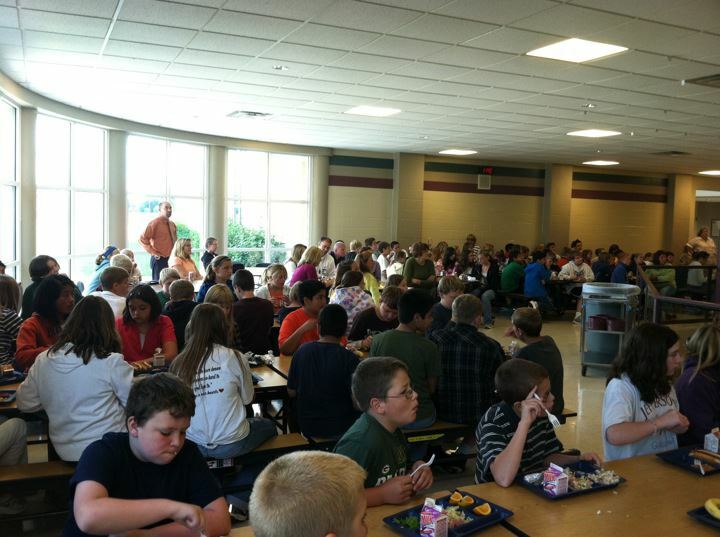 photos by me: Jefferson Middle School students listen to Team Winter. Fourth grade teacher Sharon Mischio and Winter.